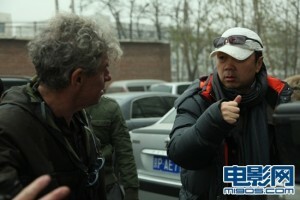 Cui Jian’s directorial debut, Blue Bone, will, finally, see the light of day. The film, which, says Cui, concerns “one song, two generations, three stories and four singing styles,” is set to be screened at the Rome Film Festival, and is the only Chinese film in competition. There’s been quite a bit of Italian news for Cui Jian of late, what with the recent Maserati action and Premio Tenco award. Italy has long been kind to Cui: Beijing Bastards (1993), which Cui co-produced with director Zhang Yang, screened at the Lucarno Film Festival (ok: Lucarno’s in Switzerland, but it’s in the Italian part); Chengdu, I Love You (2009), for which Cui directed one of the film’s short stories, closed the Venice International Film Festival.